The amount of caffeine in green tea is significantly less compared to coffee and even black tea. So, if you're looking for a caffeine fix, then green tea might not be your first choice. However, if lowering your caffeine consumption is important to you, then the amount of caffeine in green tea makes the beverage a good choice. Analyzing average amounts of caffeine in drinks like tea and coffee is difficult, because the numbers depend on a variety of factors, such as brewing time and amounts. However, generally a cup of green tea will have about 20-25 mgs of caffeine, while a cup of coffee could have as much as 150 mgs of caffeine. Black tea typical provides nearly double the caffeine of green tea, with some variation depending on how it is brewed. Generally, though, it has around 40 mgs of caffeine. Green tea contains a few other substances such as theobromine and theophylline, both of which can act as mild stimulants in some people. However, it also contains L-theanine, which has a calming effect. White tea actually contains the least amount of caffeine in any of the teas. It has about 15 mgs of caffeine per cup. The reasons for the differences in caffeine content have to do with the way each type of tea is processed. Black tea, which has the highest concentration of caffeine, undergoes a complex fermentation process. In contrast, green tea is partially fermented during production. This gives the tea a moderate level of caffeine but leaves its antioxidant properties intact that promote health benefits. White tea undergoes the least amount of processing once the tea leaves are harvested. Rather than being air-dried, white tea leaves are steamed. This leaves the polyphenols in the tea intact and minimizes caffeine levels. It is important to note that caffeine can be found even in teas labeled decaffeinated, though the amounts are minimal. Caffeine can be in some less obvious places, too, such as sweets (including chocolate) and in some medications. If you're looking to minimize caffeine intake, be sure to consider all factors. If caffeine is a concern for any reason, opt for decaffeinated teas or herbal blends. 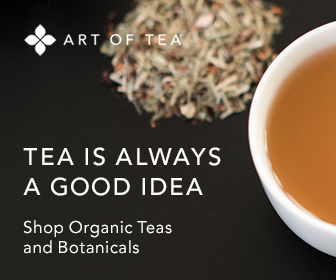 Teas are great sources of antioxidants, which are very beneficial and healthy, and offer delicious, satisfying tastes.